Tonsillitis is a very troublesome problem especially in children. It not only affects the health but also has great psychological influence on child as the recurrent infection leads to missed school which leads to further problems. The child is also not able to thrive as he should. Recurrent tonsillitis implies use of stronger and stronger antibiotics which are no longer helpful but are responsible for more severe and resistant infection later. Nature has given us natural anti-biotics in the form of Tulsi and natural immunity enahancing herbs like Amla. Swarn basant malti ras is an ancient ayurvedic preparation for improving immunity. 2. Kuka tablets - to be sucked / chewed - 2 tablets 3-4 times a day.. he will like the taste. More can be consumed if the condition is chronic and severe. 3. Cap. 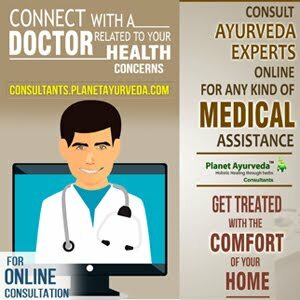 Curcumin - 1 capsule twice daily in children. The content of the capsule can be opened in a spoon and the extracts are mixed with 1 teaspoonful of honey and given to the child. 5. Cap. Tulsi - Same way as Amla Rasayan capsules - Give for 3 months to clear all the infection. The dosage of Amla and Tulsi is for children. If any adult suffers from Recurrent tonsillitis. The dosage can be 2 capsules thrice daily in cases of adults. All these tulsi, amla, curcumin ( Haldi) used together give excellent results in fighting recurrent tonsillitis and preventing viral, bacterial attacks. These also help to boost the immunity and improve overall health. my child is 4 yrs old often suffering from tonsilitis what is the way to cure ? hello dr.. my daughter susmitha 4 yrs old often suffers from coldand cough now dr said she has tonsillitis .daily iamgiving tulsi leaves,soup with tumeric based,i have doubt( in giving amla because some people say it relives sore thoart)can i give swarnbasantbmalti ras for my childplease dr help me. My son is having tonsil and now doctors told to operate. he got both adenoid enlargement and tonsil. Tonsil is severe and infected. Does these medicines help on these extreme cases too. Hello.... Firstly mail me all the details like symptoms, reports etc regarding the problem of your son on this E mail Id: herbalremedies123@yahoo.com. So that I can guide you with prescription in a better way.